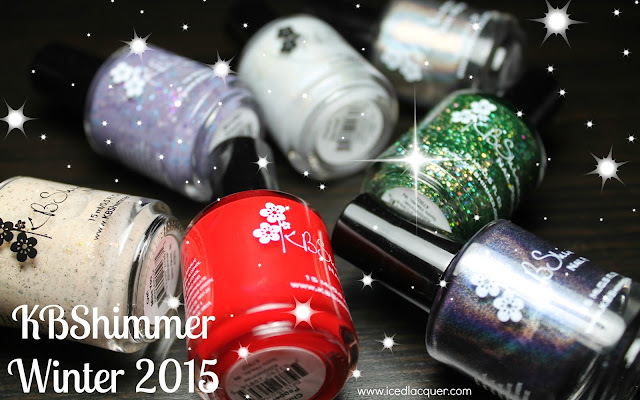 Fantasy Nail Lacquer - Upcoming Shades! Hello my lovely readers! 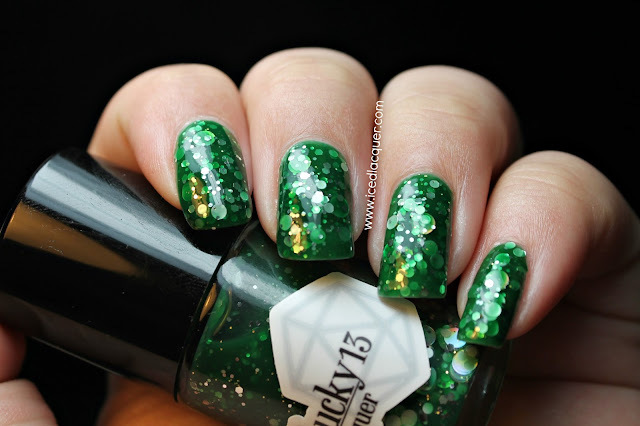 I've got one more post full of new reviews for you and then tomorrow I'll have a special birthday manicure to show you! 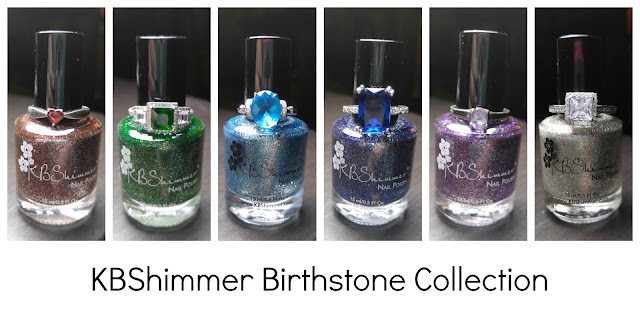 ;D Today's polishes are from a fairly new indie brand called Fantasy Nail Lacquer! These three are upcoming polishes which are set to be released this Saturday, the 15th! 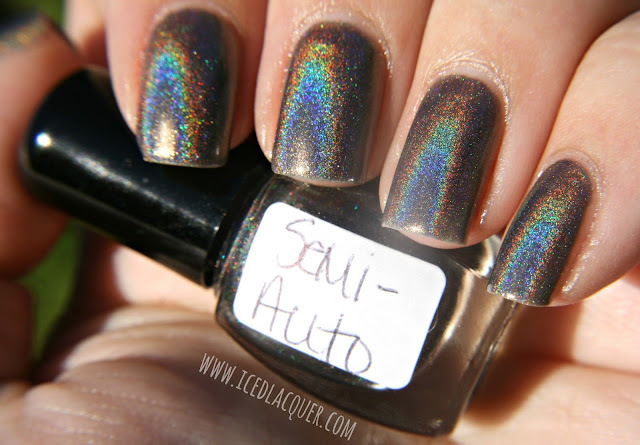 "Semi-Auto" - A dark charcoal linear holographic polish. Not dark enough to be black but not light enough to be a silver. 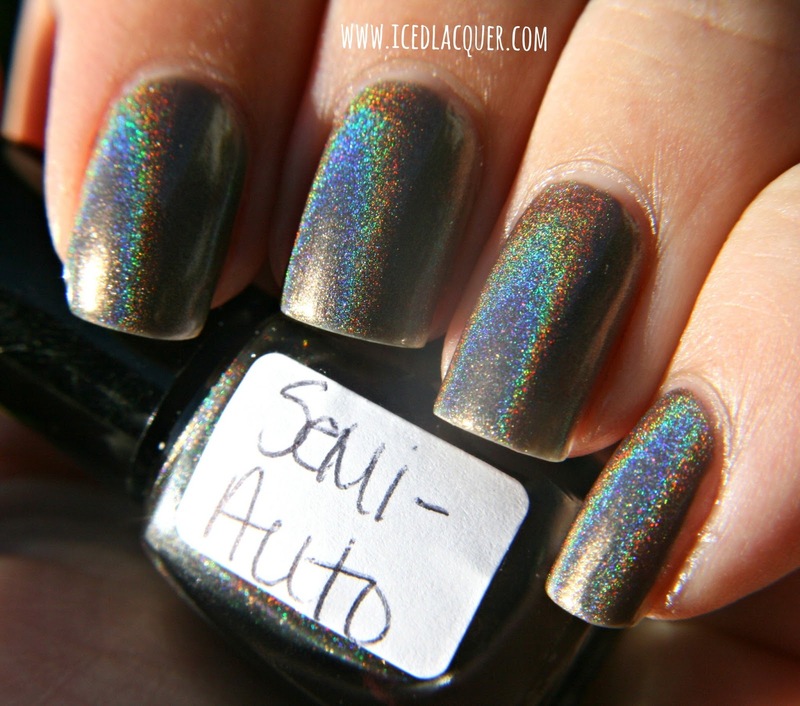 This polish is so smokey and interesting! The base is fairly sheer, but I was easily able to build it up to opacity with three coats. With indoor light, this definitely looks more grey but the presence of sunlight really darkens the base and makes the holographic awesomeness come alive. 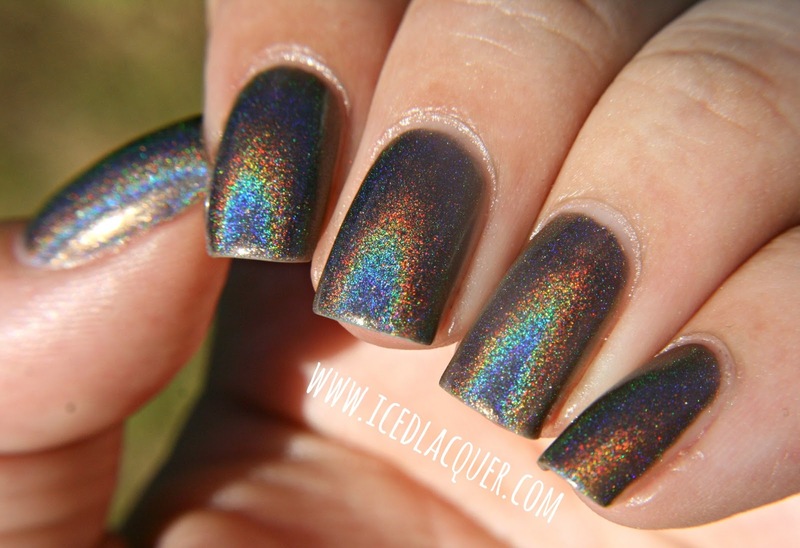 I finished this with a coat of Seche Vite and didn't notice any dull in the holo effect. "Camillia" - A medium rosey pink base filled with what looks like silver holographic micro glitter. This one is different from Semi-Auto in that it's a scattered holo rather than a linear and the particles are much bigger, like a glitter rather than a pigment. 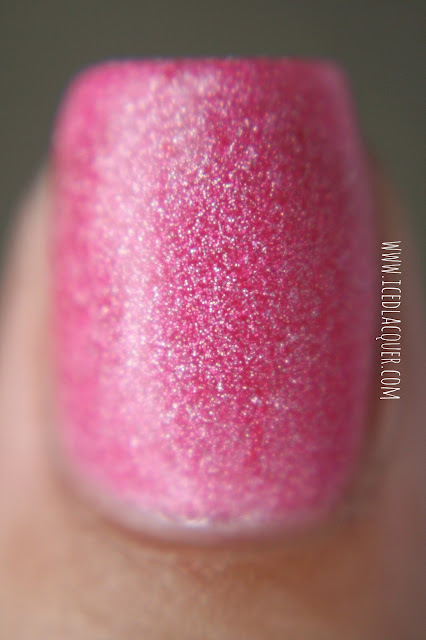 In my opinion, this is one of those excellent shades of pink that's not too bright, not too dusty, and not too blue or red. It's a very happy color. Opacity wasn't as good as I was expecting, but I was able to build up to what you see here in four coats. This dries to a semi-matte finish and obviously is a bit gritty with the glitter, but one coat of Seche Vite made it nice and glossy. 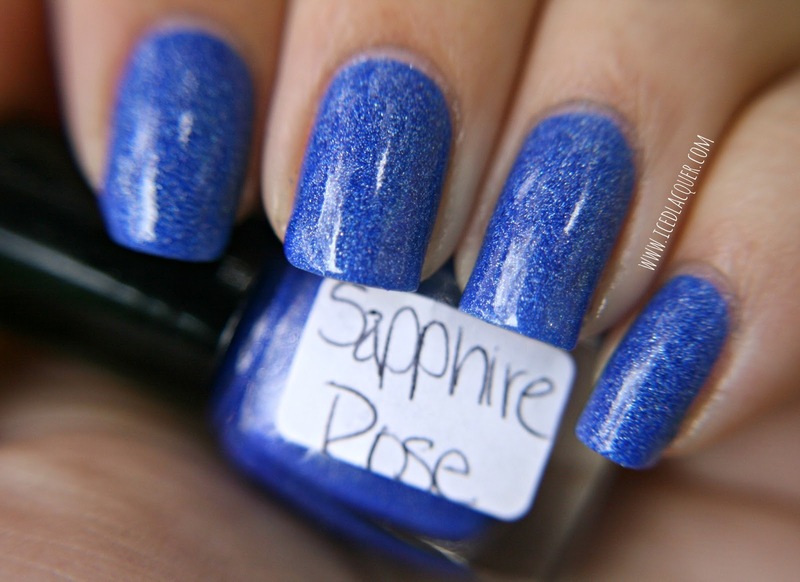 "Sapphire Rose" - Fittingly named, this polish consists of a sapphire blue base and the same type of scattered, silver, holographic glitter that Camillia has. 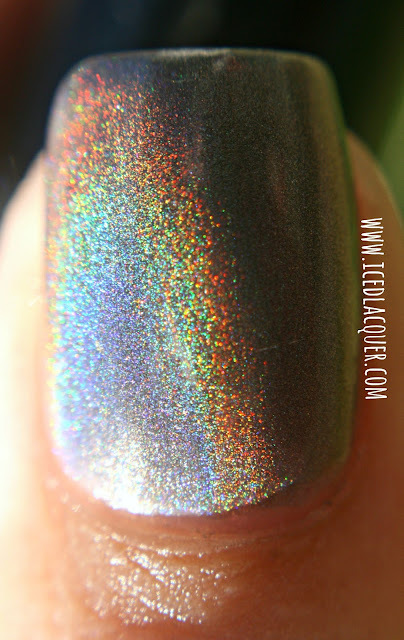 Pigmentation with this one was ridiculously amazing and I only needed two coats to get the opacity you see here. 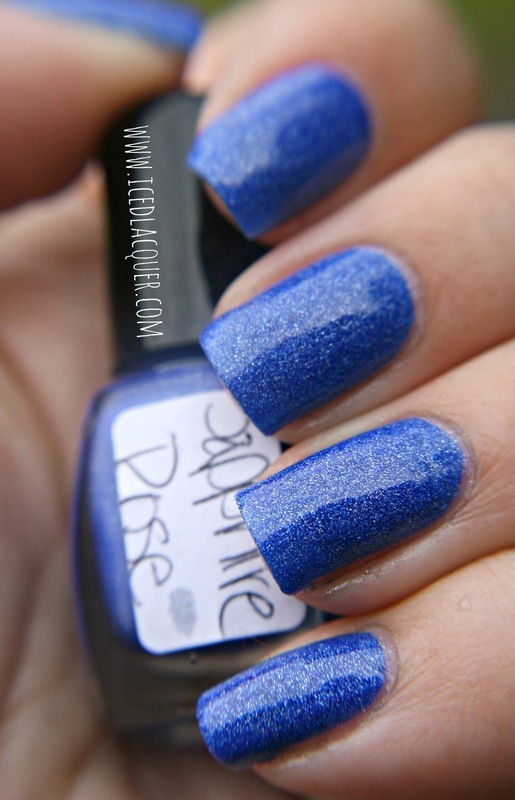 This is actually one of those polishes that I originally looked at and thought "Ok, another blue." but now that I have it on my nails I can't wait to wear it again! It's so warm and beautifully saturated. What do you think? 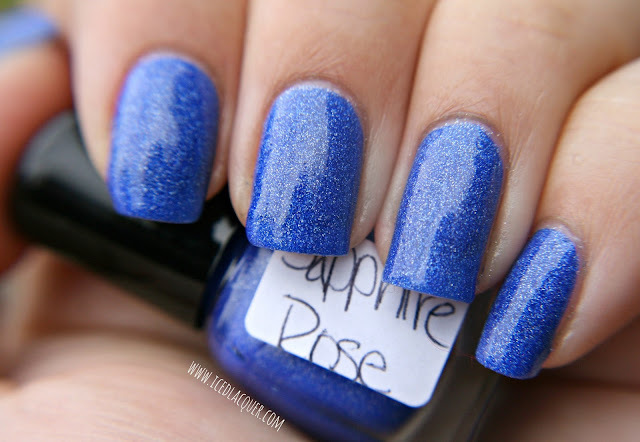 My pick is definitely Sapphire Rose, but all three are great in my opinion. 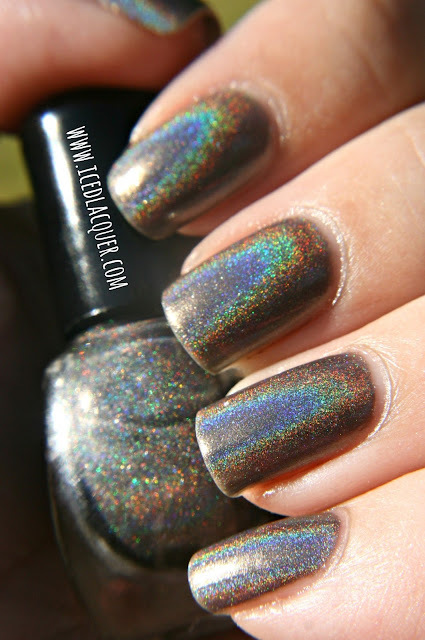 You can check out the Fantasy Nail Lacquer shop HERE and her Facebook page HERE!